Cell phones are wonderful gadgets for modern living. However, science is still inconclusive on the safety of cell phone radiation. Cell phones emit radio-frequency (RF) electromagnetic radiation (EMR), which is necessary for wireless communication but poses a potential health risk when absorbed by the human body. When we talk about cell phone radiation, it is important to understand that different regions of the radiation field surrounding a cell phone have different characteristics, and present different levels of concern to the user. The characteristics of radio wave change with the distance from the transmitting antenna. The field is typically divided into three regions — the near-field, the far-field, and the transition zone between them. The near-field can be further divided into two sub-regions: the reactive near-field and the radiating near-field (as shown in Figure 1). Generally speaking, the near-field refers to the RF field close to the antenna and the far-field is the RF field further away from the antenna. However, there is no formal definition for the boundary of the near-field or the far-field. A commonly accepted definition is that the near-field is less than one wavelength (λ) from the antenna and the far-field begins at a distance of 2λ from the antenna and radiates out. The near-field and the far-field are different in many aspects. From the field strength point of view, in the far-field, the field strength decreases inversely as the square of the distance (1/r2). For example, the radiation is about 100 times more intense at a distance of 1 foot compared to 10 feet away from the transmitting antenna. In the near-field region, the strength of the field is more complex and decays more rapidly (in addition to 1/r2 it also includes a 1/r3 relationship). 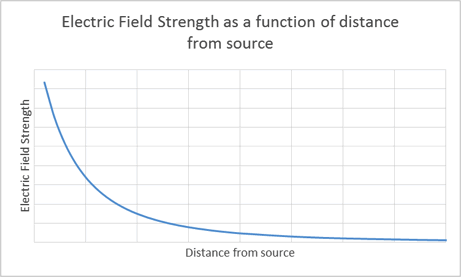 Figure 2 illustrates how electric field strength varies with distance from a simplified source. Figure 1. Different regions of RF wave from an antenna. In wireless communication, the far-field is the part of the radio wave used for the transfer of information – it carries the signal and propagates at the speed of light. As far as the human exposure is concerned, the near-field is more important. Although different in characteristics, the far-field is sourced from and closely associated with the near-field. Any change in the near-field can impact the far-field. When you use your cell phone, your body is often located in the near-field (one wavelength or less) of the cell phone antenna. Cell phones use a wide range of frequency bands from 700 MHz to up to 2.5 GHz. The near-field extends to about 17 inches at 700 MHz and 4.7 inches at 2.5 GHz. In the near-field, the field strength can rise dramatically with only a small additional movement towards the antenna. It is especially concerning when you hold your phone next to your head or wear it on your body – at the almost touching or touching distance, you can be exposed to very intense near-field radiation from the device. And you may not be aware that the current FCC guidelines allow a device to be tested up to 25 mm away from the user’s body. The iPhone 6, for example, is tested 5mm away from the body. As a result, when you carry your cell phone directly against your body (in your pocket for example), you may be exposed to radiation levels that exceed the published SAR of the device and even the current FCC’s safety limit. That’s why all cell phone manufactures include warnings in their user’s manuals to keep the cell phone a certain distance away from your body for safety concern. This is also why the city of Berkeley, California, has passed an ordinance requiring cell phone retailers to alert consumers that they may exceed federal guidelines for exposure to RF radiation if they carry their phone on in a pocket or on their body. Will a Shielding Product Protect You? There are different approaches in the marketplace to try to reduce the user’s exposure to cell phone radiation. Some products claim to reduce exposure by shielding, blocking or absorbing the RF radiation from the phone. Since the far-field is generated from the near-field, if you shield, block or absorb the near-field, you weaken the far-field and therefore the signal strength of your cell phone. Your phone has a dynamic relationship with the cell tower – if the cell tower “hears” a weak signal from your phone, it instructs the device to turn up its transmitting power. Therefore, a shielding or blocking product will ironically force your phone to transmit at a higher power than it would otherwise need, which not only drains battery faster, but also may result in higher exposure to the users. As a result, the Federal Trade Commission (FTC) has issued warnings against the use of such products. Pong’s patented technology does not block or shield the near-field, but redistributes it so less of the field is directed towards you and regions of intense RF are dispersed. The near-field is therefore, still able to propagate to the far-field and your signal strength is not weakened. The Pong technology is the result of many years of research and development by a team of scientists and engineers trained at MIT, Harvard, UCLA and the University of Manchester. After testing various shielding, blocking and absorbing approaches, they finally invented the Pong technology, which is the best solution for reducing cell phone radiation exposure to the users. Pong Cases are tested in FCC-certified labs and Pong’s claims are verified by third parties such as Wired Magazine. What’s The Difference Between EM Near Field And Far Field? By Lou Frenzel, 2012. How does a cell phone work? Does your cell phone case affect your radiation?